Deferred Action for Childhood Arrivals (DACA) is a great opportunity for undocumented youth, but the process of applying can be confusing. Download our FREE eBook to get answers to these questions, and more! If my request for Deferred Action is denied will I be placed in removal proceedings? 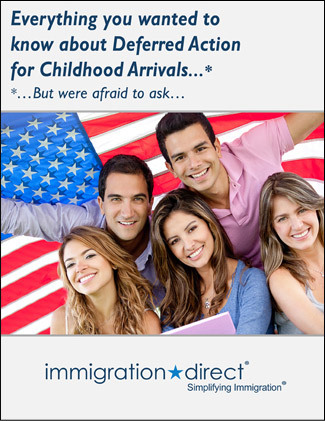 How do I prove that I qualify for Deferred Action? If I apply for Deferred Action will the information I supply be kept confidential? I understand that this e-book is a general guide that is in no way intended to be a substitute for professional legal counsel. You must agree to both statements.